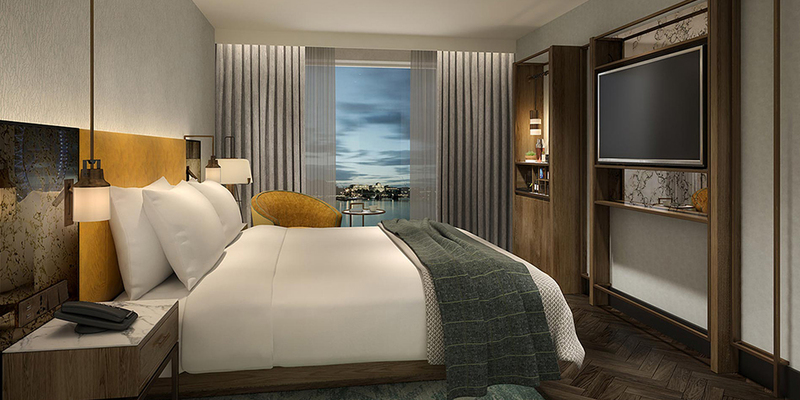 As part of a continued partnership with Dominvs Group – the owners and operators of this exciting new hotel – Micron was chosen to consult on, install and manage the group’s complex voice, data and wireless requirements. Fundamental to the brief was for Micron to ensure the new site had absolute resilience built into the networks, including data connections. Consulting on the project for the past 18 months, Micron worked with partner Exponential-e to engineer an RO2 ethernet solution which will deliver dual gigabit ethernet data connections. These connections will enter from opposite ends of the building and be serviced from separate BT exchanges resulting in the high level of resilience the client requires. Micron’s RO2 ethernet solution will provide the site with substantial backup protection and disaster recovery against a power failure. This could be triggered by a major failure at the BT exchange or by a third-party accidently digging through the cables that lead up to the building. Should this occur, the second ethernet connection should remain live, ensuring the hotel can continue to function as usual. Opening in the Autumn, this is the fourth project Micron has worked on with the Dominvs Group. Previous projects have included installing a complete WiFi, telecoms and cloud connectivity suite at the Crowne Plaza and Holiday Inn Express based at Aberdeen Airport.